May buy 1 for yourself and 1 additional as a gift. May use 1 voucher per household. All services must be used during a single visit by same household. Appointments are required and subject to availability. Merchant cancellation/rescheduling policy of 72 hours applies; voucher subject to forfeiture. Distance restrictions apply. Service area includes Salt Lake City and Utah County; additional fee applies beyond service area. Valid for 3 rooms up to 200 square feet each or hallways up to 10 feet. Not valid on stairs or area rugs. No floor restrictions. Additional fee does not apply for carpet type. Additional fee applies for excess stain removals or soiled areas. Valid only for residential cleaning; valid for homes, apartments, townhomes, and condos. Expires 3 months after purchase. See the terms that apply to all deals. PurElement Carpet Cleaning Specialists use a truck-mounted system that doesn't use any kind of soap or detergent; making it safe for pets and children. Instead of soap or detergent, PurElements uses an Alkaline Base pre-spray and purified water heated to over 230 degrees. Average drying time is between 2 - 6 hours. PurElements Carpet Cleaning Specialist's technicians are IICRC certified and have over 15 years combined experience. 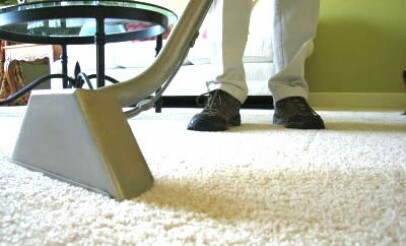 They specialize in carpet, upholstery, car, rug, tile cleaning and more! PurElement offers a 100% satisfaction guarantee.